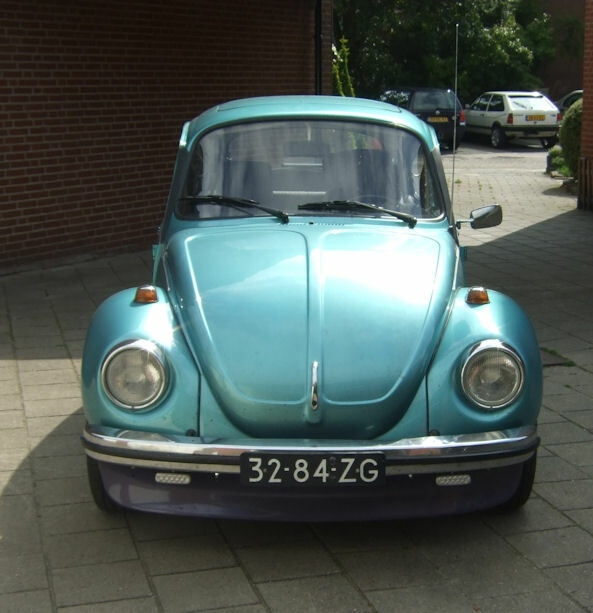 My beetle is now capable to “normal” highway speeds of aprox 120 km/h. 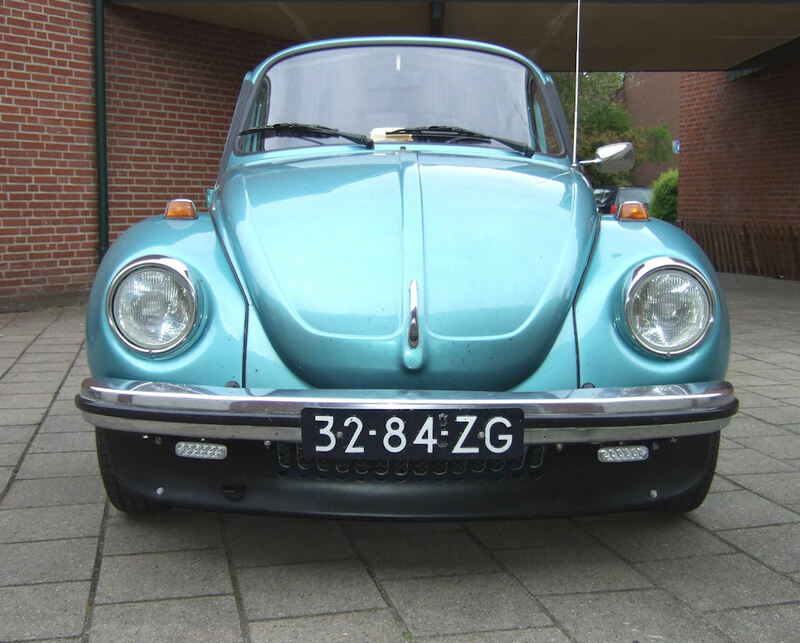 Which is nice, but now I notice the nose gets light at those speeds which means the front wheels are a bit “nervous”. I am trying to solve this with improved aerodynamics. But, because I have the radiator in the front, I need to cut out some air vents. 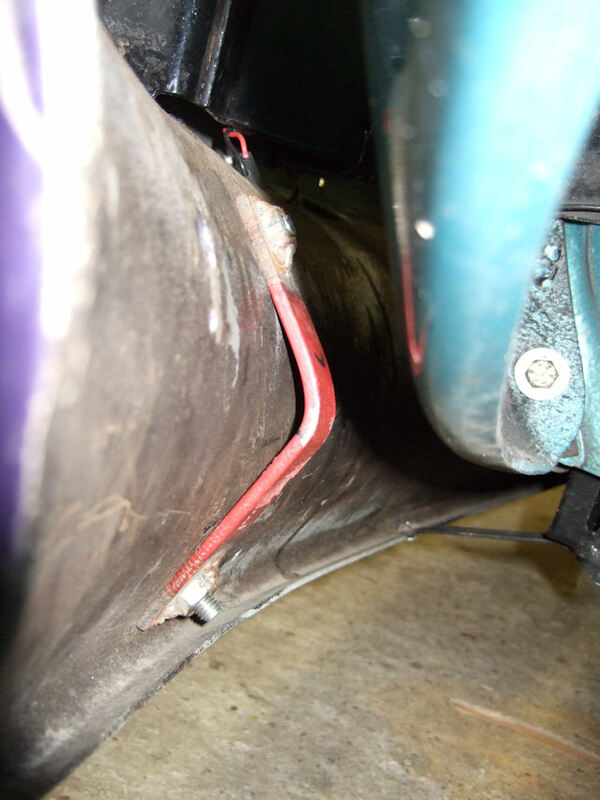 And to make sure all the air goes to the radiator I want to seal the area between the spoiler an the front apron. Furthermore I want to create a removeable piece, so I can acces the towing eye. Update 05-09-2009: Next to the “normal” two bolts that are inside the bumper holding the top middle of the spoiler, I made some more brackets. This is the left top bracket. 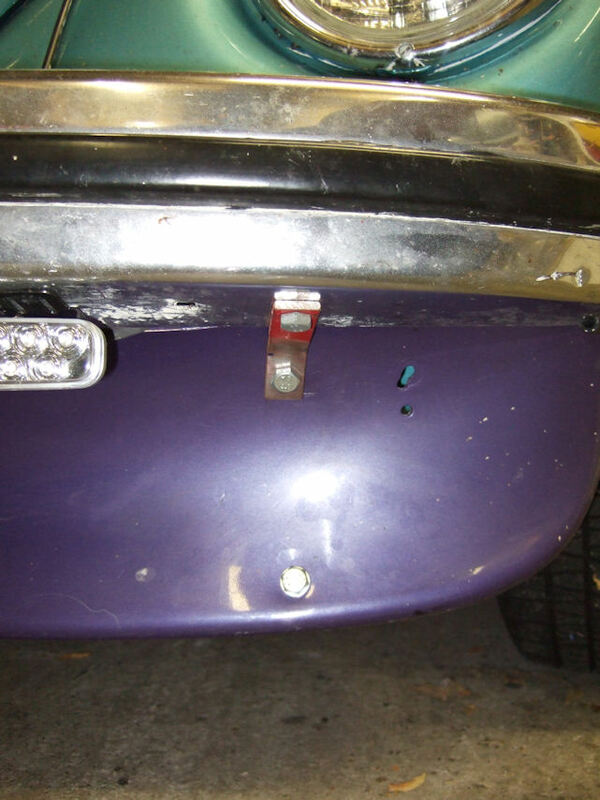 It is bolted on the top to the bolt that holds the bumper to the bumper bracket. it makes a solid support for the spoiler. 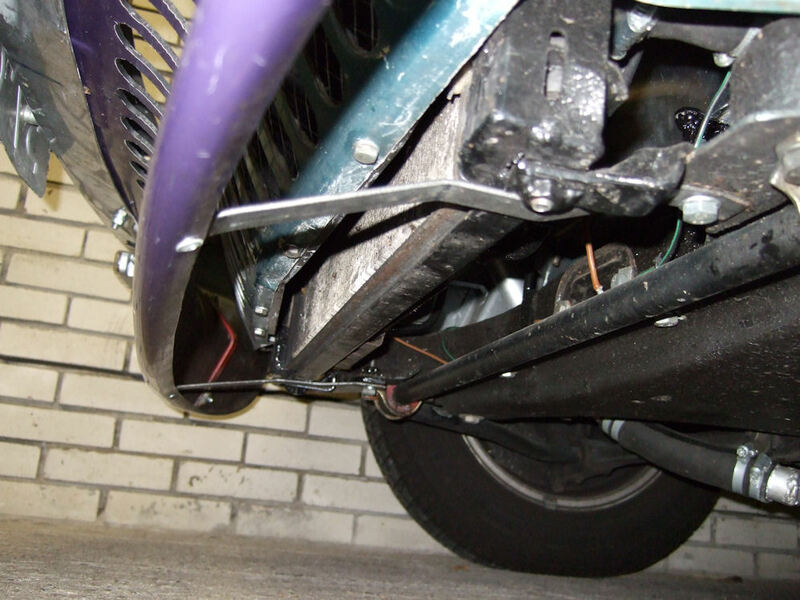 To these brackets I will bolt the bottom air guide plate, but they also support the spoiler some more. Regarding your work with the Kamei. How did you solve your problem and what was the end result? Must do the same with my beetle. Which problem doe you mean? The problem of a “light” front end with highway speeds? Yes, the spoiler solved it. It now feels really stable at 130 km/h.